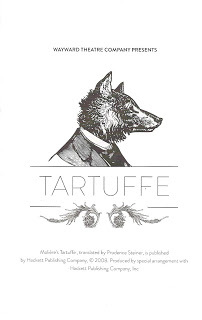 You can see Tartuffe by the Wayward Theatre Company at the James J. Hill House through November 19, 2016. It’s a way to see this historic mansion in a whole new light, and experience this play in a whole new way. - Mary Aalgaard with Play off the Page. See our reviews below and have a great weekend!